Using IP to carry voice traffic (VoIP) opens up a world of possibilities and new opportunities. Call recording is one of them. But, it's so much more than being able to make an MP3 mix of voicemails from persistent sales people. Buying a business call recording system can offer many other benefits to your business. Organizations of all sizes can use audio recordings to strengthen employee training, marketing, and customer service. Call recordings can improve record-keeping, boost regulatory compliance, and provide clarity during disputes. 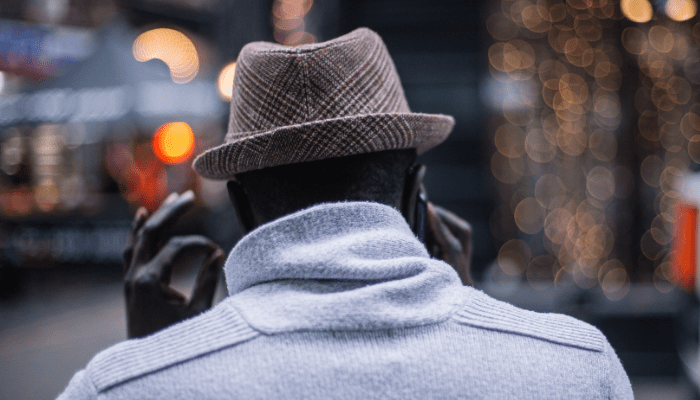 With the wrong call recording solution, you may not unlock any of these benefits. Your business could face a lot of risks. You could face legal trouble if you fail to follow federal and state laws for wiretapping or recording. You could face costly regulatory fines for non-compliance with PCI, HIPAA, or other regulations. If your solution isn't interoperable or easy-to-use, you may waste a lot of money moving to a new solution. The right call recording system for your company’s needs should be an easy-to-use tool for reducing business risks. Finding the right solution should involve considerations such as compliance, scalability, and data backups. In the modern business world, data has become one of the most critical assets and risks to organizations. Business data such as call recordings can be an invaluable tool for improving performance and meeting regulatory requirements. When data isn't effectively guarded, it can also be a massive liability. The average cost of recovery from a data breach is now $3.8 million. Ideally, your business call recording systems should help your organization achieve your goals of data-driven decisions, better customer service, and smarter regulatory compliance. To gain the potential rewards of call recording, it's vital to evaluate systems carefully. How Do Call Recording Systems for Business Work? Call recording systems is an encompassing term for a category of technology which helps businesses capture, encrypt, store, and retrieve audio call data. These technologies can include premises-based systems for recording calls and cloud-based solutions. While each of these approaches offers unique advantages, cloud-based call recording provided as-a-service can provide particular benefits in flexibility, scalability, and data recovery. These systems generally integrate with IP-based phone systems to capture call audio, store data securely in the cloud, and provide tools to search and retrieve archived calls. It is possible to record phone calls from digital and PRI phone lines using either cloud or premises-based solutions, but it's complicated. Generally, organizations need to establish a point of connection at the handset, microphone, or phone line using specific hardware to record calls from traditional phone lines. Effectively implementing a business call recording system requires knowledge of all applicable federal and state laws. While specific laws around knowledge and consent vary between states, the majority of US states require what is known as “all-party consent.” If one party on the call is located in an all-party consent state, you must obtain consent from everyone on the line to record the audio or risk civil penalties. Consulting with your attorney is likely the best way to understand the recording laws which impact your organization. The right call recording system for your business is secure, scalable, and easy-to-use. When it comes to telephone recording systems, shopping by price alone may be a mistake. Consider the importance of compliance requirements, data access, and how easy it is to retrieve archived call data when evaluating systems and providers. Thanks to GDPR, the global compliance climate became more complex in 2018. Choosing the right call recording software is critical to protect your business against costly fines. The most universal regulatory requirement to address is data encryption, including encryption of data-in-transit and at-rest. Ensure call recordings are protected with strong cryptography to ensure compliance. Your organization could be deemed non-compliant if audio files for financial transactions turn out to be inaudible or otherwise corrupted during an audit. Compliance could dictate that you retain recordings for a certain length of time, such as the six-year data retention requirements for electronic personal health data (ePHI) under HIPAA. Under the GDPR, your organization may need to be prepared to destroy or release call record data based on customer consent or request. Your call recording software can play an essential role in helping your organization avoid regulatory risk. To identify the best solution for your needs, work closely with legal counsel and risk experts to understand your organization's unique requirements for data recording, retention, and retrieval. Fast-track solutions providers who can demonstrate full compliance with all applicable regulatory requirements, including copies of their most recent data center reports from independent auditors. Ideally, redundant cloud backups should be offered as a component of your call recording solution. Verify that providers offer strong uptime guarantees and have a demonstrable record of regulatory compliance. A provider who offers 99.9999% or better uptime and reliable infrastructures such as redundant servers, cooling, and power can minimize your risks of data loss. Unless your organization is reliant on traditional telephone systems, your organization should have minimal need to invest in hardware upfront. Businesses that are using a PBX phone system may need to purchase hardware for call recording, which can represent a significant cost output. However, organizations who use cloud-based phone systems can launch call recording with minimal cost output. With IP-based telephony, it’s much simpler to use software and cloud-based solutions for recording calls. Most providers with great VoIP service and support offer call recording and backups as an add-on service billed monthly at an affordable rate. These systems automatically implement call recording, and store calls off-site in the vendor's cloud environment. To drive value with your business call recordings and meet regulatory requirements, you need to be able to stream and download call audio files on-demand. Ensure the call recording offers a user-friendly interface for administration to search, query, and find call recordings or batches from a cloud database. What good is it if your call recording solution is cheap but it takes multiple hours for personnel to access a single recording? Ideally, it would be as easy as grabbing a song out of your iTunes playlist. If your organization has multiple locations, the administration tool should provide access to call data across sites. Depending on your organization’s needs, the user interface may also need to offer easy access to data dashboards and analytics. Being able to assess metrics such as average call time or call volume by location, team, or individual agent can support contact center management and other use cases. Prioritize providers and solutions who offer affordable, flexible monthly pricing to fit your organization’s use cases. Ensure potential vendors are transparent about the costs of your new investment. Generally, the startup costs for cloud-based call recording solutions should be minimal and ongoing use should be transparently billed per user each month. Affordable and flexible pricing can enable your organization to scale this service up or down based on your needs. The cloud-based delivery model can allow your company to roll out call recording slowly across teams or test drive this feature for a single location while paying only for the service you are using. Atlantech Online doesn’t just offer Atmos Business Call Recording Systems as an add-on service for business phone clients. We use Atmos ourselves. Compared to other solutions, we genuinely believe it is the best product for delivering exceptional customer service. Atmos is unique among other solutions due to a “single pane of glass” approach. The user interface culls data from a variety of sources to provide a user-friendly, fast interface for searching and retrieving call recording data in the cloud. The administration portal also makes it easy to understand call statistics and view analytics reports. Atlantech Online has been providing comprehensive business communications services to organizations in Washington DC Metro, Maryland, and Virginia since 1995. If you have call recording requirements or want a quote, please call us today at 800-256-1612. Before you upgrade your business phone system or add new features, it’s important to know the right questions to ask to find the right provider and system to fit your needs. 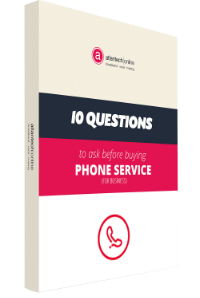 Educate yourself with the free eBook: 10 Questions to Ask Before Buying Phone Service for Your Business.